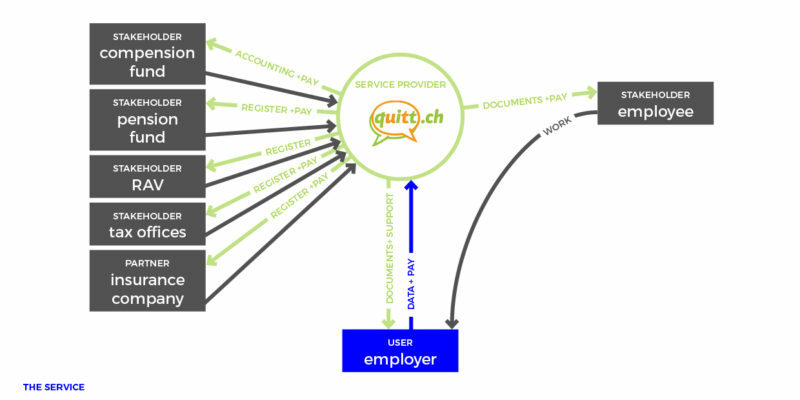 quitt.ch is an online service company that helps people who hire household staff tackle the often cumbersome administrative paperwork by moving the whole process online. I joined the company in summer 2015. Since then the start-up has grown steadily in customers and employees. However while the software – the centerpiece of the service – has been improved continuously, there has been little attention payed to the customer experience of the service. 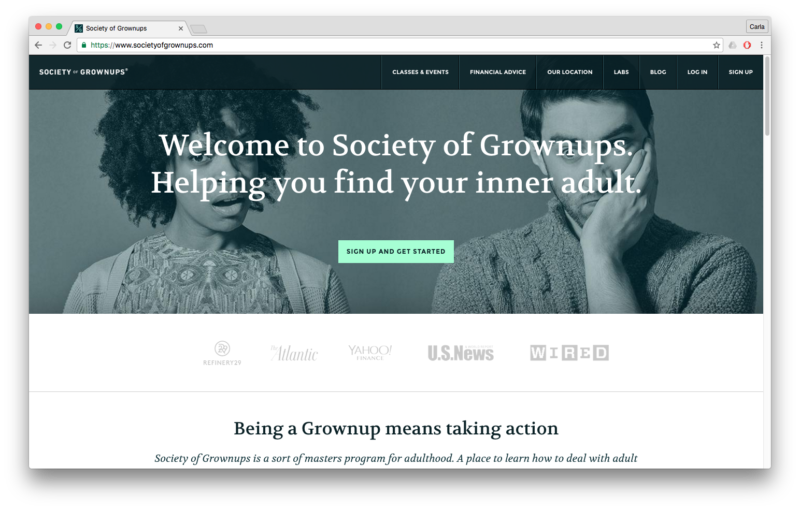 The first step in changing this, was the redesign of the outdated website. 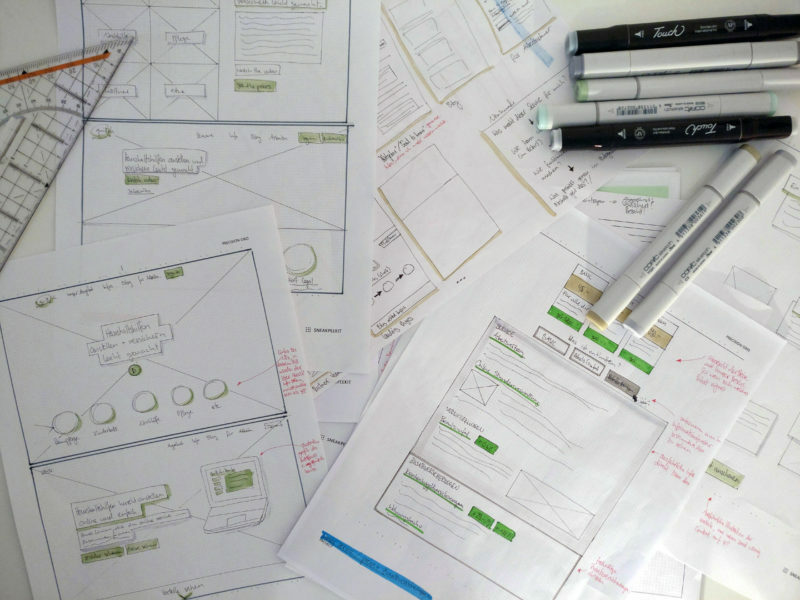 The information architecture has not been built with different users in mind, resulting in duplicated content with unclear messages. 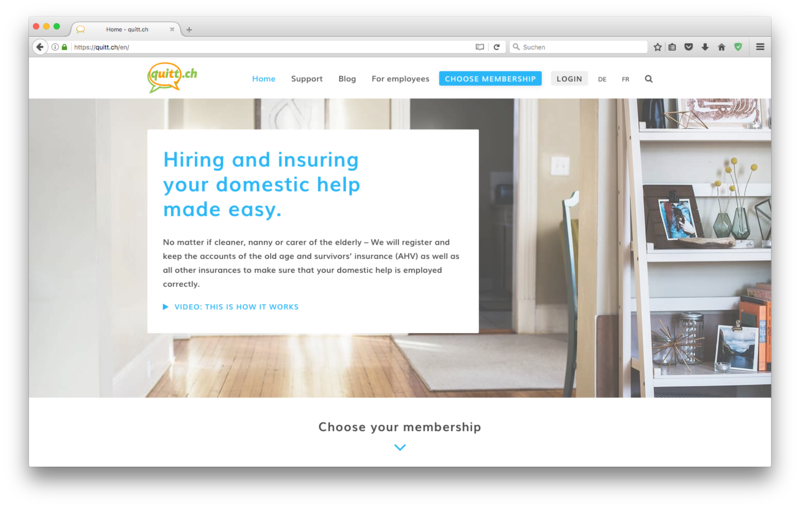 The services main claim is to facilitate the hiring of household staff, nonetheless complicated technical terms were used throughout the website. Since the beginning of the company 7 years ago there have never been any professional branding efforts. The guideline consisted of a font and four easy to remember color-codes. 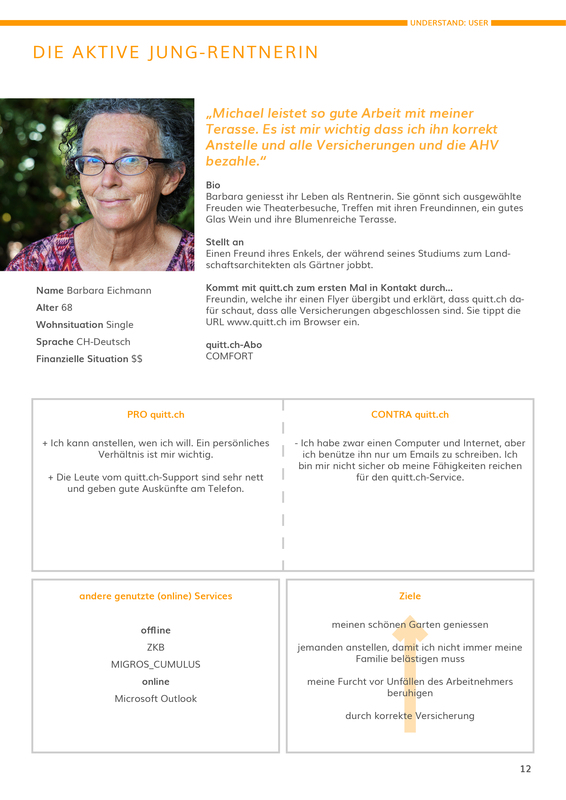 The service of quitt.ch lives in a complex system of complementary services (such as household help mediation services and even the household help themselves), partners (the insurance companies) and competitors (ranging from personal bookkeepers to cleaning agencies). This position is not only challenging as competition might emerge form unexpected corners, but it also makes it very difficult to explain the value proposition of quitt.ch to new users. 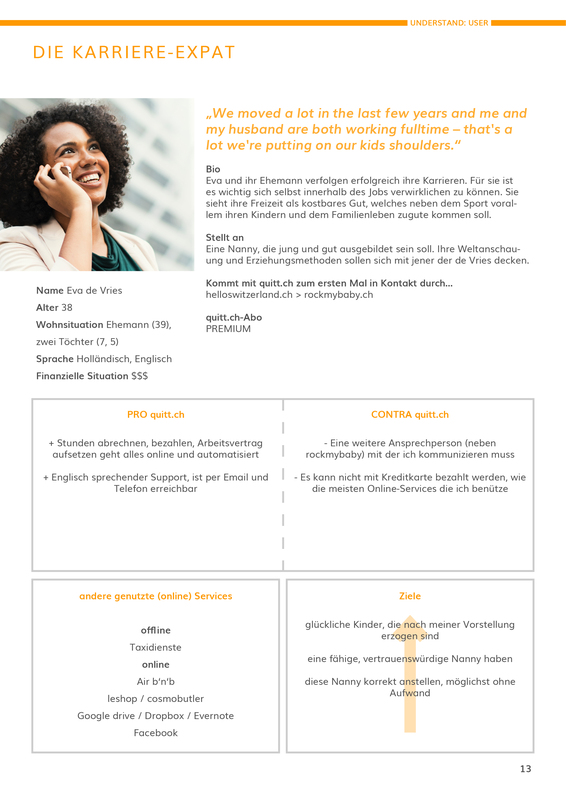 Anyone hiring a household help is a potential quitt.ch customer, the spectrum is very broad. In order to deal with this I created proto-personas and tried to answer the same questions for each. “How did s/ he hear about the service first?” “What does it take for her/ him to gain trust in the service of quitt.ch?” etc. The promise of quitt.ch is to relieve the customer of the cumbersome administrative tasks associated with hiring a household help. 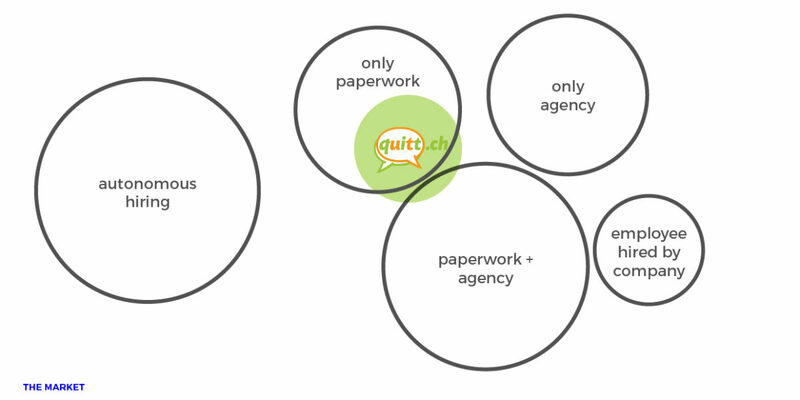 The less a customer is in contact with quitt.ch the better the service works. 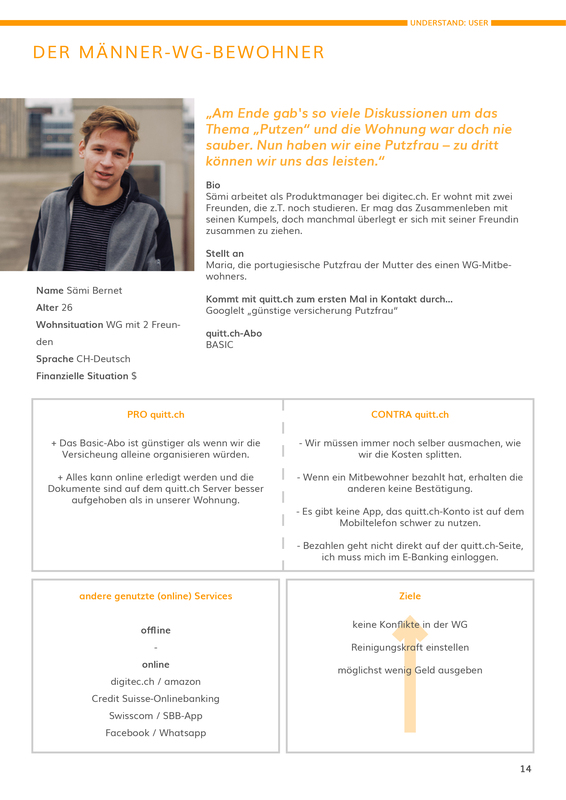 So how can we let the user understand the value of quitt.ch’s service while keeping the communication easy and thus the service even more desirable? In order to tackle this problem I analysed some outstanding examples of service communication. One of the main goals was to reduce the number of pages drastically. 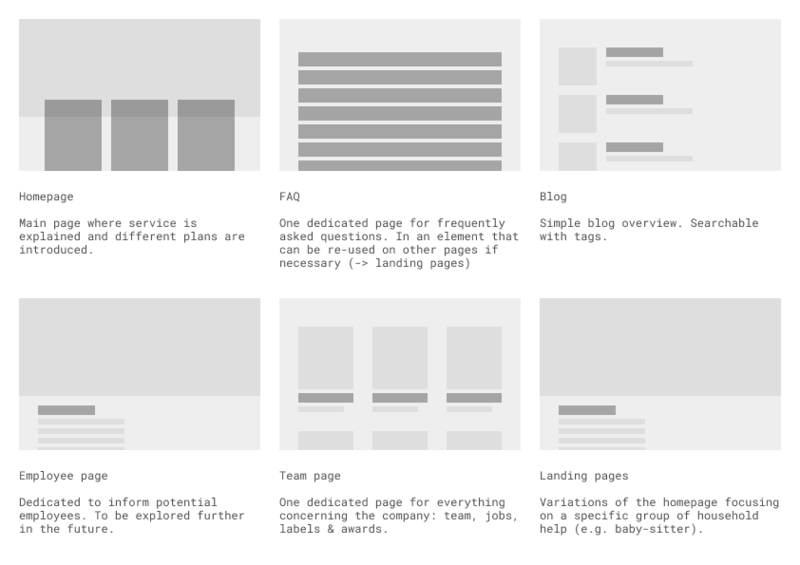 Each page should have its own communication purpose and contents should not be doubled. I replaced the existing three garish colors with a pallet of equivalent colors based on material design. Previously colors had been used randomly and purely decorative. 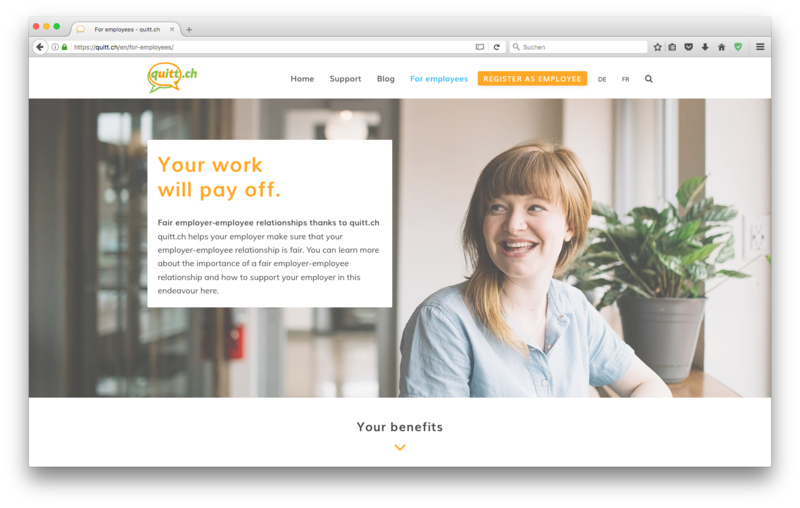 The new system uses the two colors of the logo (orange and green) to represent the two biggest client groups employers and employees. 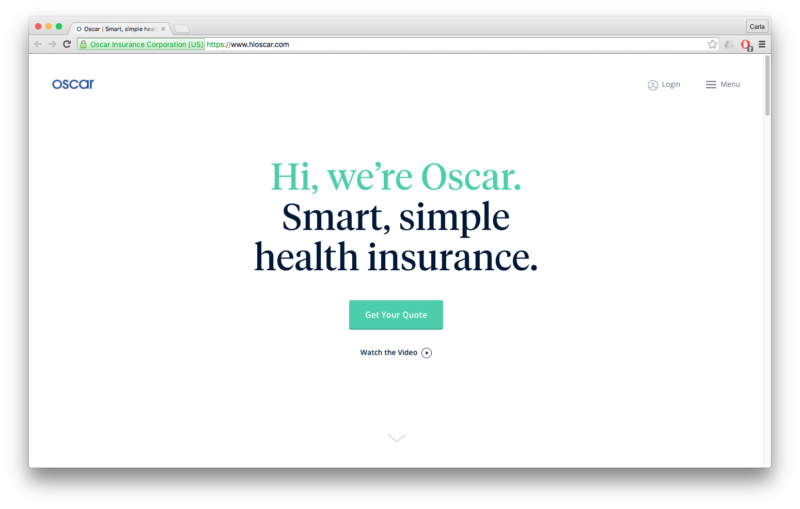 Various shades of blue communicate the relationship between the different subscription-plans. Before the re-design photography has been used to communicate functional contents. 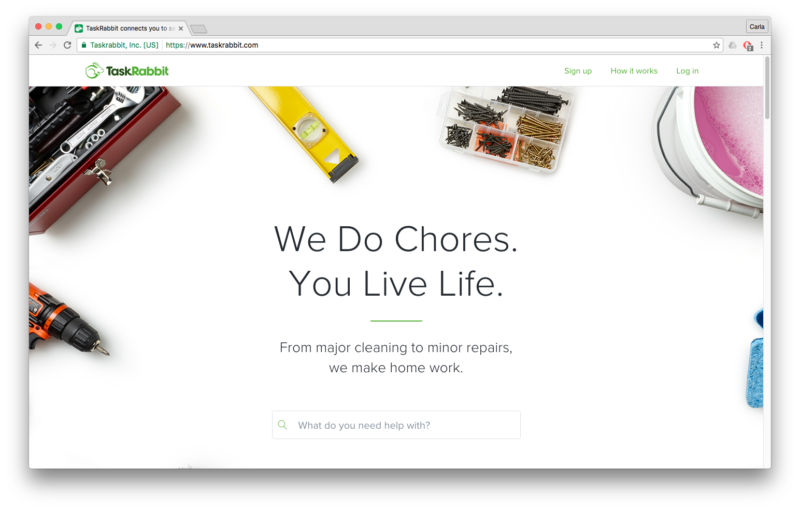 The new style guide prescribes a more natural imagery that reflects the user’s end-goal (a clean house, happy children, etc.). 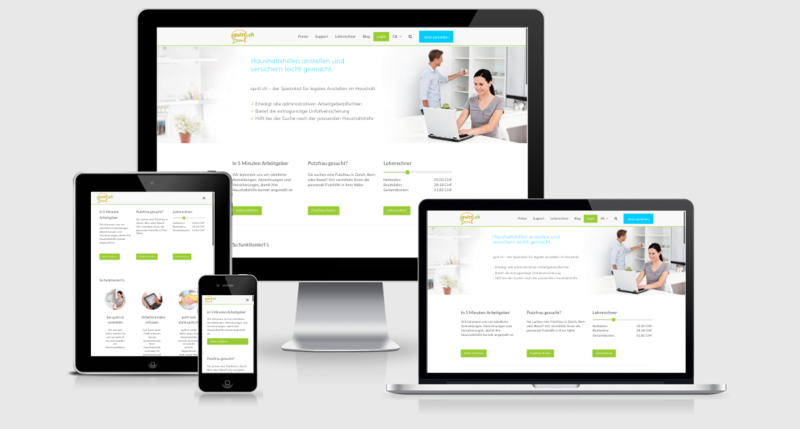 The new navigation contains a fraction of elements of the previous one and is organized by different user group. The content “above the fold” is reduced to a clear value proposition. The differences between the plans are made visual through colour and explained with non-technical-keywords. 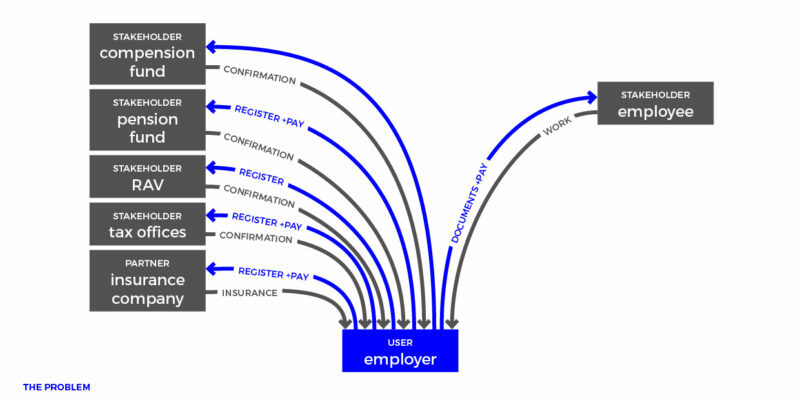 Rather than structuring the FAQ according to bureaucratic logic they are organised regarding the different decision-phases of users. 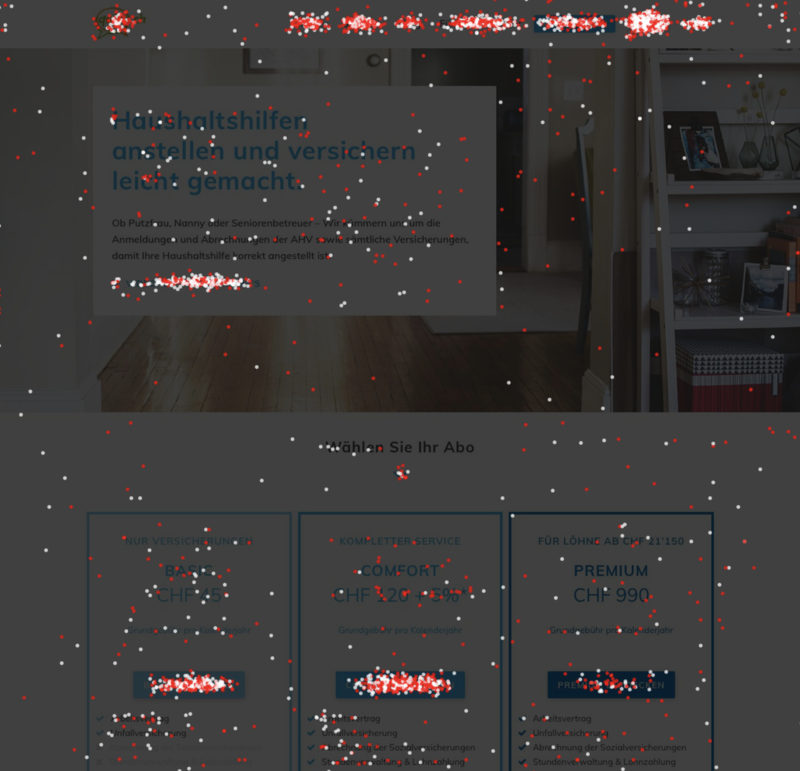 After the implementation, I created several A/B tests and installed a heat map tool to further improve the website. 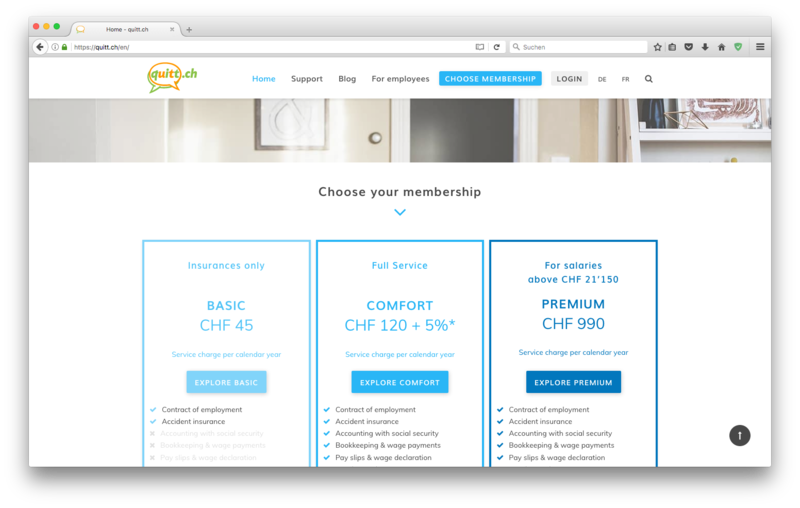 Thanks to the usability testing and research for this project it became clear that the service-packages offered by quitt.ch are not understood by the users and the sign up process is not intuitive. Therefore the next step was to explore the service offer more profoundly.